Profile: Who was Afghanistan's General Abdul Raziq? Home Uncategorized Profile: Who was Afghanistan’s General Abdul Raziq? 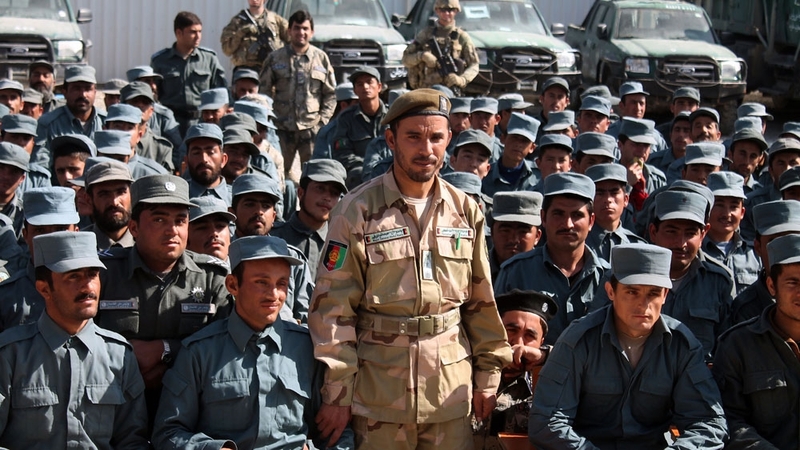 Profile: Who was Afghanistan’s General Abdul Raziq? Afghan General Abdul Raziq, 45, known for his fierce stance against the Taliban, was killed along with a local intelligence commander Abdul Mohmin when a bodyguard opened fire after a meeting in the governor’s compound in Kandahar. Kandahar Governor Zalmay Wesa was also severely wounded on Thursday and contradictory reports whether he survived could not be confirmed early on Friday. General Scott Miller, the top US commander in Afghanistan who attended the meeting with Raziq only moments earlier, was not hurt in the attack. Three Americans were wounded. In a claim of responsibility, the Taliban said they targeted both Miller and Raziq. “It’s the loss of a patriot,” US defence chief James Mattis said on Friday, referring to Raziq’s death. Born in Spin Boldak district of Kandahar, Abdul Raziq Achakzai, an ethnic Pashtun, was from the Adozai subtribe of the Achakzai tribe. His father and uncle were killed by the Taliban in 1994. Soon after, Abdul Raziq and his family fled to Pakistan until the Taliban was ousted in the US-led invasion of Afghanistan in 2001. Upon returning he joined an anti-Taliban force in Kandahar under Gul Agha Sherzai and Fayda Mohammad, which overthrew the Taliban government in the city. He started off as a young border policeman working between Kandahar and Pakistan’s Baluchistan province in 2001. Over the years, he steadily rose the ranks of the security forces. Because of his strong commitment in fighting the Taliban, Raziq, a favourite of the US-led coalition, received significant aid for training and weapons from the United States over the past few years as he was viewed as one of the country’s most effective leaders, crediting him with keeping the Taliban in check in Kandahar. He was known to stay away from politics and instead dealt with the Taliban and other armed groups in a bid to maintain stability. A critic of Afghan President Ashraf Ghani, Raziq also led a militia in Kandahar. Rights group widely criticised Raziq for allegedly ordering the torture and mistreatment of detainees he suspected of having Taliban affiliations. New York-based Human Rights Watch called Raziq “Kandahar’s torturer-in-chief“. It released a report describing credible allegations that Raziq was “widely suspected of complicity, if not of personal implication, in severe human rights abuses, including extrajudicial killings and … secret detention centers”. Under Raziq’s watch, detainees underwent “suffocation, crushing the testicles, water forcibly pumped in the stomach and electric shocks”, it said. All allegations had been denied by Raziq. He had survived several assasination attempts against him over the years. In an interview with TOLOnews, a local Afghan news channel, he said he escaped 29 attempts on his life. Last year, he narrowly escaped an attack in which five diplomats from the United Arab Emirates were killed in Kandahar. In 2012, he was targeted by a suicide bomber and also the same year his convoy was struck by a roadside bomb. Raziq took over as Kandahar’s police chief after his predecessor, Khan Mahammad Mojayed, was killed in a suicide attack in 2011.